Not just your lender, but your lending partner. You need someone than can help walk you through your options, navigate the lending process, and still be there for any questions that may arise later. At American Community Bank, we'll fit the right loan to your situation with the quick turnaround you're expecting. Sometimes we all need a little help from our bank to reach those more substantial goals. Homes, autos, property; whatever you're considering, we can help you get it. 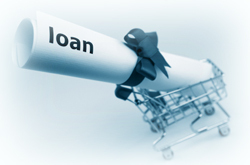 Our loan products offer low fees, competitive rates, and a fast turnaround. See an American Community Bank associate for rates, terms, and other details. When it comes to mortgage lending, American Community Bank is your best resource. Your home's available equity is a terrific option for fast, accessible funds at reasonable rates. A specialized loan program for those building their own home. Have you found the site for your dream home? An American Community Bank Building Lot Loan may be for you. We offer low interest car loan rates.